Friendefi’s Aaron Carr recently spoke to Commerce Lab about using gamification to strengthen the relationship between brands and consumers. Game-play by nature is highly social (perhaps with the odd exception – Solitaire anyone?) And in today’s hyper-connected world, its no surprise that gamification is often as well. In fact, game-play often attracts people with socially-oriented motivations. After all, what fun is winning, achieving a new high-score, or earning badges if you can’t share those accomplishments with others? Sharing triumphs isn’t the only social-motivator inherent in games, however. Many massively multi-player games include extensive ‘quests’, exploration, and collaboration – all of which may involve social behaviour. The practice of gamification has embraced these social dynamics quite heavily. 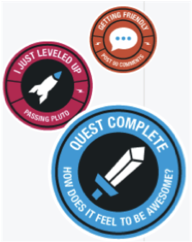 Earning badges has become synonymous with many ‘gamified’ experiences. Badges are social by nature. And why shouldn’t they be? With over 1 billion of us connected through Facebook and other social networks, it makes sense that we proudly display our achievements as a way of sharing our life experiences and interests with our friends. And while social behaviour may be a happy byproduct of gamified experiences, it increasingly works the other way around. 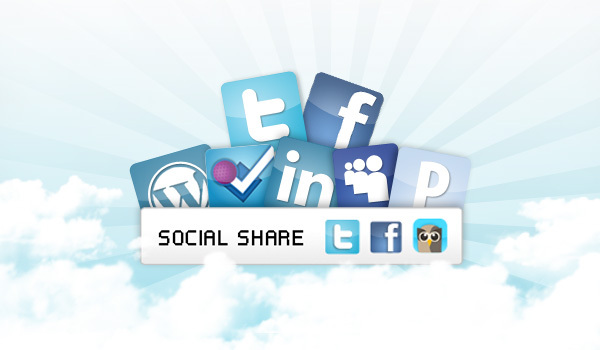 Many marketers find that social-sharing can be an effective way of promoting their brands. So, why not reward this behaviour to promote greater brand engagement through social networks? Simple game mechanics such as contests where participants earn bonus entries for friend referrals can be incredibly effective. Similarly, game mechanics can be used for longer-term engagement and social-sharing initiatives. Marketers are beginning to experiment with online and mobile promotions where participants are rewarded not only for sharing, but for brand interactions – watching videos, playing trivia, and voting to name a few. What these initiatives all have in common is that they’re plugged into social networks such as Facebook, Twitter, and Instagram. This allows marketers to create seamless experiences for participants where they can easily interact with the brand and then share that experience and related achievement with friends. Loyalty programs also have an interesting role to play in brand engagement through social channels. If you enjoy earning virtual rewards for your accomplishments, chances are you’ll enjoy earning real rewards, such as points or miles, even more – especially if you’re already a member of the program. In fact, combining virtual rewards, like badges, with loyalty program points may prove an even more powerful motivator to get people interacting with and sharing your brand through social networks. And the game mechanics don’t have to stop there – many other tools, like leaderboards, can be used to promote social-sharing . The big rewards will go to those marketers who continue to embrace these new tools and the opportunities they offer to engage consumers. Practically Green is a program that encourages sustainable living. It’s a fantastic example of using gamification to engage people in a cause. Their website says: “We make healthy green living simple, personal and relevant, trackable, and shareable. We also make it fun!” It also mentions that Practically Green uses interactive technology, game mechanics, and social media, which as we saw with Fitocracy, are core to creating an engaging user experience. A critical aspect of Practically Green’s approach in our view is the broad range of ‘actions’ that participants can take to accomplish their sustainability objectives. From not idling your car to volunteering at an environmental nonprofit organization, Practically Green provides many different ways for people to add more “green” in their lives. This touches on two other fundamental aspects of gamification and, for that matter, games themselves, voluntariness and meaningful choices. For something to be fun, it has to be voluntary. This is an interesting notion vis-a-vis environmental sustainability, which many view as a societal responsibility. Moreover, it’s not easy “being green” – the shear scale of environmental issues can feel overwhelming and intimidating for the uninitiated. But by giving participants a wide variety of specific actions to select from, Practically Green has done a great job of making sustainable living feel voluntary, easy to engage in, and achievable. Similarly, the notion of having meaningful choices is central to game-play because, by definition, games have uncertain outcomes. If players don’t “choose wisely”, it can have consequences and worsen their chances of winning the game. Practically Green scores well here. The variety of actions provides participants with many different potential choices to make, thereby enriching the ‘game-play’. And, like Fitocracy, Practically Green has assigned a points value to each action, helping participants understand the impact of their actions and – of course – keeping score of their progress! Switching gears, our last example is not a fully gamified system or application, it’s the profile completeness progress bar on LinkedIn, the well-known professional network. We include this example for two reasons – it demonstrates the power of feedback in motivating action and it’s a great example of specific-purpose, short-term gamification. Originally, LinkedIn didn’t have a progress bar to inform users how much of their profile they’d completed. And many users weren’t taking the time to complete their profiles – it’s easy to see why: it’s not exactly a fun task. By adding the progress bar, LinkedIn reportedly improved profile completion rates by 20%. All this from a simple progress bar? You bet: games use progress bars and other feedback devices to motivate action all the time. And people respond to feedback. In the case of LinkedIn, the percentage informs users how far away they are from their ‘completion objective’, while the nice little message under the progress bar provides a suggestive prompt for what to do next. And, of course, seeing your profile completeness at 100% provides a satisfying sense of task achievement. We also highlight the specific-purpose nature of the use of gamification in this example because not all applications require or should have a richly gamified solution. Sometimes a feature here, or a technique there is all that is required to achieve the desired improvement. Fitocracy is a great example of gamification applied to an everyday challenge that many people face – finding the motivation to get in better shape. The site describes itself as “the fitness social network to level up in real life.” In fact, Fitocracy – through both its website and related mobile app – is entirely designed around helping people find the motivation to progressively improve their fitness. Does it work? Launched less than two years ago, Fitocracy already has several hundred thousand users. The site allows users to track their progress with points, levels, and badges. Exercises have different points values based on their level of difficulty, which provides an important feedback and tracking mechanism for users. Not accruing enough points? Well, you need to do more difficult exercises or to work-out more often. And as users earn points, they can ‘level-up’. The social network’s mascot, FRED, keeps an ongoing tally of the points users earn, lets them know when they’ve reached another level and awards badges. Not only does the recognition feel good (who doesn’t like being told they’re “awesome”? ), it importantly forms the basis of Fitocracy’s progression loop – a technique often used in video games – whereby the ultimate goal is broken down into smaller, more bite-sized goals. And as the term suggests, each level is progressively more difficult. This stands to reason; after all, someone who’s not in shape can’t expect to complete a really difficult work-out. But it’s fundamental to Fitocracy’s recipe for maximizing early and ongoing engagement: users begin at a level they’re comfortable with and can progress through increasing levels of difficulty and get motivating recognition along the way. Moreover, it’s satisfying to reach a new level. This is another advantage of a progression loop structure; the regular completion of levels feels good and provides ongoing motivation. Equally important in our view, is Fitocracy’s social network, which is anchored with their “Feed”. Like many other social networks, it allows users to share and compare with others within the community. This provides a great way for people to connect and to share work-out tips and to encourage one another towards their fitness goals, which can be a powerful motivation enhancement. It also allows user groups to propose challenges and individuals to engage in duels, effectively turning working-out into a competition. By offering a range of interactive, social features from sharing, comparing, cooperating, to competing, Fitocracy is recognizing that different people have different behaviours and preferences. For example, some people will be highly motivated by the sense of community they feel by sharing and relating to others within their user group. Whereas, the die-hard competitive-type is more likely to get pumped at the prospect of beating others in fitness duels. Fold.it is a fascinating application of gamification that allows people to “solve puzzles for science”. The website provides a protein-folding game that challenges players to help solve one of the “hardest problems in biology today” – figuring out the optimal structures for folding the myriad of proteins we have in our bodies. Apparently, even super-computers have difficulty performing this task. So, the University of Washington Center for Game Science turned this complex problem into a fun puzzle for people to solve in the comfort of their own homes. This is a great example of a problem-solving activity that has the potential to be highly enjoyable in and of itself, but needed the right design and delivery mechanism to engage large numbers of people. And the game is designed well. Folding three-dimensional protein structures may sound like a herculean intellectual task, but by creating a game with simple rules and actions, immediate scoring and messages to inform players about the strength of each folding move, tools and resources players can acquire to enhance game-play, and progressive levels of difficulty – from dead simple to wildly complex – anyone, quite literally, can enjoy Fold.it. And like many good gamified systems, Fold.it incorporates a healthy level of competition through leader-boards as well as contests. Mostly, however, we’re impressed with Fold.it because it’s effective at accomplishing its objective: to obtain large amounts of data about possible protein structures without significant investment in computing power. The more people who play, the more data are generated for research. This is a critical point, as any application of gamification should not only engage people in an activity, but do so in a way that produces the intended result.